Open 365 days a year from 8am until sunset, John D. MacArthur Beach State Park offers something for everyone all year long. 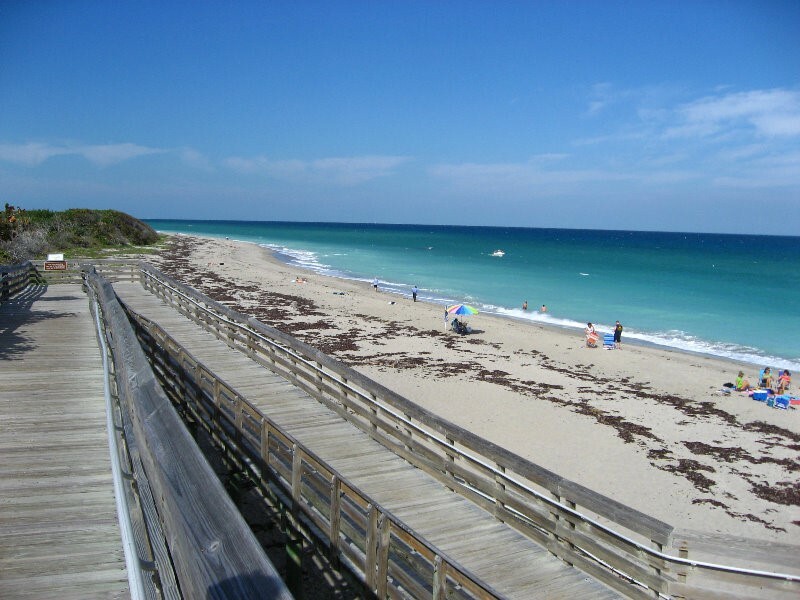 This 438-acre park of Florida beauty, located on the north side of Singer Island, is the only state park in Palm Beach County. Whether looking to relax for the day or go on a family adventure, you can have it all at John D. MacArthur Beach State Park. John D. MacArthur Beach State Park is a little different in that it offers beaches with some privacy. The reason for this is access to the beach requires a 10-minute walk or tram ride, but many think the solidarity is worth the it. On top of this, the snorkeling off the beaches of Singer Island is gorgeous, with turtles, tropical fish, and manatee sightings being a regular occurrence. From November to April the park puts on a concert series called ‘MacArthur Under Moonlight’ from 7-9pm in the amphitheater. Enjoy some great music and gaze at the stars for only $5. Every day the park rangers lead visitors on a one-mile walking tour through the park’s 4 distinct habitats: beach, estuary, natural limestone reef, and coastal maritime hammock. Admission to the walks is free and no reservation is required. Bring your own kayak and head out on an adventure. Cruise through the clear waters and mangroves surrounding Singer Island. If you don’t have your own vessel, the park rents kayaks at $30 for a single or $45 for a double. You can go out on your own or the rangers also lead a two-hour paddle tour. The gift shop offers the traditional items needed, such as towels, sunscreen, toys, and drinks. In addition, it has expanded to include affordably priced jewelry and art made locally. Admission to the park is $5 for cars carrying two to eight people, $4 for single car riders or motorcycles, and $2 for pedestrians or bicyclists. The park is located at 10900 Jack Nicklaus Drive in North Palm Beach and the phone number is 561-624-6950. Posted in Singer Island, Singer Island Condos, Singer Island condos for sale on September 7, 2017 at 3:11 am.